Wrong words spoken at the wrong time can certainly lead to a firestorm. Righteousness, peace and joy are the inheritance of the believer, but few who claim Christ as their Savior actually experience these benefits in their daily lives. Why? Because Satan steals our peace by deceiving us through a lack of knowledge or an unwillingness to apply the knowledge we have. The Bible has a lot to say about strife. “A perverse man sows strife, and a whisperer separates close friends” (Prov. 16:28, The Amplified Bible). “The beginning of strife is as when water first trickles [from a crack in a dam]; therefore stop contention before it becomes worse and quarreling breaks out” (Prov. 17:14). The spirit of strife was a part of my life in my early days as a Christian. I was always striving with something or someone. I loved God, was born again and baptized in the Holy Spirit, and had a call on my life to full-time ministry. But I lived in strife, often correcting my children for the same behavior I manifested. I would not, however, allow anyone to confront me about it. I was angry much of the time. Yet when one of my children displayed anger, I corrected his behavior. How could I expect my children to respect and trust me, to receive correction from me, when it was I who was modeling bad behavior? Children become confused and rebellious when parents require them to do something they will not do themselves. As my relationship with the Lord grew, I began to strongly desire peace. When I came to the point that I intensely hungered and thirsted after peace, the Holy Spirit started teaching me about the dangers of strife. I learned to recognize it and to quickly resist the enemy. I treat strife as a dangerous foe that will bring destruction to my life if left unconfronted. » Our lips. “And the tongue is a fire. [The tongue is a] world of wickedness set among our members, contaminating and depraving the whole body and setting on fire the wheel of birth (the cycle of man’s nature), being itself ignited by hell (Gehenna)” (James 3:6). Wrong words spoken at the wrong time can certainly start a firestorm. The more wrong words we pour on the fire, the bigger it gets. Through the years I have learned to keep my mouth shut. One way to stop a fire is to remove the fuel. » Our pride. Proverbs 13:10 says, “By pride and insolence comes only contention, but with the well-advised is skillful and godly wisdom.” Although wrong words may open us up to strife, it is a proud heart that refuses to be quiet in order to have peace. Pride demands that we have the last word, but the Word says it will lead to destruction (see Prov. 16:18). » Our opinions. Paul said, “For I resolved to know nothing (to be acquainted with nothing, to make a display of the knowledge of nothing, and to be conscious of nothing) among you except Jesus Christ (the Messiah) and Him crucified” (1 Cor. 2:2). Christians often get caught up in strife by debating Scripture. Each keeps pushing, trying to convince the other. Soon the spirit of strife enters the conversation and relationships are damaged. As long as we think we know everything, we can be sure we know very little. When we realize we have much to learn and stop passing out our opinions, we will begin to gain the knowledge we need. As my identity became grounded in Christ, I experienced more freedom in this area. I learned that our worth and value are found in the fact that Jesus loved us enough to die for us and bring us into a personal relationship with Himself. Great spiritual harmony is released through unity and understanding. Try it for yourself. I believe you’ll be happy with the results. Joyce Meyer is a New York Times best-selling author and one of the world’s leading practical Bible teachers. She has written more than 70 books, including the popular Beauty for Ashes and Battlefield of the Mind, and her most recent, The Secret to True Happiness (all FaithWords). She is also the founder of Joyce Meyer Ministries Inc. and the host of Enjoying Everyday Life radio and TV programs, which air on hundreds of stations worldwide. 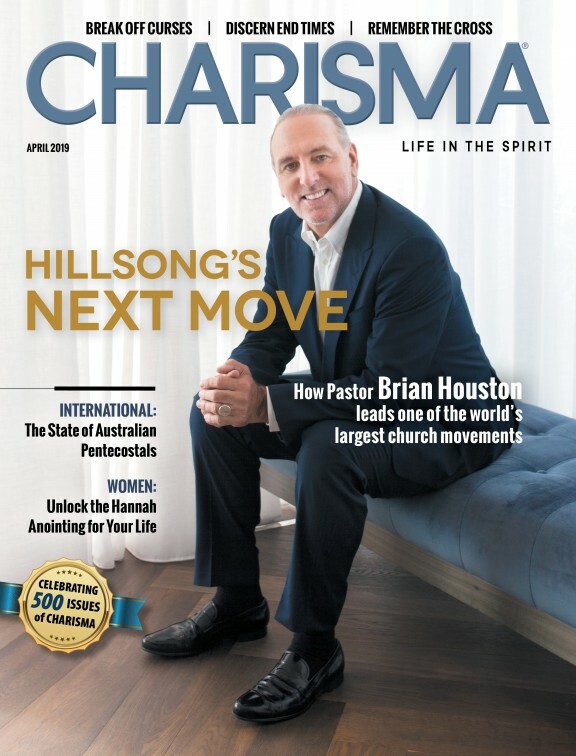 To read past columns in Charisma by Joyce Meyer, log on at charismamag.com/meyer.